The past year in business and investing will be remembered for the crises following the housing boom and bust, and subsequent bust within the financial services sector. By now even tangential observers of business headlines and economics are well aware of the problems facing homeowners, lenders and financial institutions who behaved irresponsibly. The year 2007 will also be remembered as a dichotomous year with respect to the large disparities in returns (both good and bad) generated by various sectors of the stock and bond market. Commodity prices continued to break records during the month of December, underscoring the benefit of diversifying a portion of one’s investment portfolio in natural resources, whether directly or in those corporations that benefit from these trends. Investing specifically in oil and gold, which has become much easier due to Exchange Traded Funds tracking both prices, was very profitable for the year and for the month of December. The respective ETF’s were up 8.8% (oil) and 6.6% (gold) for the month of December, while the annual returns were 47.4% for the oil ETF and over 30% for the Gold ETF. In addition to buying these tracking securities, mutual funds and ETF’s focusing on energy and natural resources also returned over 30% on average for all of 2007. It served investors well to avoid Financials, Homebuilders and Real Estate Investment Trusts (REIT’s) over the past year. The Financials were off 19%, the REIT’s were down 18% and the Homebuilders were down almost 50% for all of 2007. The Financials and REIT’s were both off about 5% for the month of December, while the Homebuilders actually ticked a bit higher over the course of the month. A question that seems to be hampering the financials above and beyond the well publicized write-downs is to what degree their earnings are dependant on business lines related to mortgage securitization. A metric necessary to value companies would be their normalized earnings, which, in the case of the financials, may not be known for some time. Some banks and financials could, in fact, be selling for fire sales prices currently, but determining which just might be impossible until all the news is made public. Stock market gains around the world may have been much more significant if not for the poor performance of the Financials. Emerging Markets, which provide many of those natural resources that are in such demand, have also had another banner year for investors. The Emerging Markets ended the year with gains of 33.1%, while the Developed International Markets finished with a 10% gain for 2007 after each pulled back 1.4% and 3.0%, respectively, during the month of December. The broad U.S. indices were some of this year’s least spectacular performers. The S&P 500 ended the year with a modest gain of 5.5% and the Dow 30 Industrial Average fared a little better at a positive return of 8.9%, while the NASDAQ outdid each, moving ahead 10.6%. Financial institutions make up a significant portion of the broader indexes, which held their gains in check. The QQQQ ETF, which tracks the NASDAQ 100, rose 19.4% for the year, and amazingly, the majority of the gain can be attributed to the positive performance of just three stocks: Google, Apple and Research in Motion. The Small Cap stocks finished the year in negative territory at -1.75% and the Mid-Cap stocks were a little better up 5.1% for the year. Looking forward to 2008 there are, as always, some questions and reasons to be optimistic. So far this year, however, the negatives have been on the forefront. The number of jobs being created on a monthly basis is now slowing significantly. For the month of December, the initial number of jobs created was a miniscule 18,000. The gains came from the government sector while the number of private sector jobs decreased for the first time since 2003. Economists are still divided as to whether a recession is in our midst or whether economic growth is temporarily slowing. Employment remains the most significant factor in keeping the consumer strong. We have seen some weakness in the consumer as unemployment, while still very low historically, has ticked higher to 5%. We been pleasantly surprised that employment has remained as strong as it has during 2007 when you consider the housing woes and the related weakness with financial institutions. The relative strength in the overall employment figures indicates stronger job trends in other industries beyond housing and the financials. This latest employment data point has greatly increased the chances that further rate cuts by Federal Reserve will be significant. There is now a good chance that the Fed Funds Rate and the Discount Rate will be lowered by 50 basis points in January, with additional cuts likely later in the year. Stocks typically perform well while the Fed lowers interest rates, although the timing, as always, can be nearly impossible to predict. We believe patient investors will be rewarded for staying invested in stocks over the next few years. Investors have flocked to secure investments, selling stocks and higher risk bonds in favor of buying U.S. treasuries. As a result of the strong demand for U.S. treasuries, the yields on the shorter term U.S. government bonds have fallen to their lowest levels since 2004, dipping below 3% during the month of December. Spreads, the difference between high grade corporate debt and treasuries, have reached the highest levels seen since 2002. That widening of the yield spreads hindered some bond investments as higher yielding issues were less in demand. Most analysts have opined that growth will be slower in the first half of 2008, as the lingering aforementioned issues that have impacted us during the last two quarters of 2007 provide an overhang into 2008. Many are predicting that we will work through these issues during the first half of the year and the growth will begin to improve in the second half of 2008. The government is expecting GDP to come in at a modest 2.3% for 2008, while this is slower growth these expectations are not currently recessionary predictions. The persistent economic expansion in South America, China and India will continue to provide a positive influence for the U.S. economy and investors and multinational businesses. While admittedly there are many crosscurrents from the development in these emerging economies (e.g., higher worldwide commodity demand and a larger supply of labor), the benefits of additional consumers of American products and services are worth the costs on the whole. Clearly, some industries and labor groups are paying a large share of the cost associated with participating in the global economy, while the rest of society benefits. These trends are evident in the political candidates’ rhetoric, especially the populist candidates making inroads in popularity. The market is going to react to the rhetoric surrounding the primaries and, eventually, the election itself in 2008. As the disparity between the “haves” and the “have nots” grows to levels not seen since the 1920’s, a more populist agenda has become popular in both major political parties. Most agree that if one of the more populist candidates were to win the election, it could be an additional headwind for the stock market. Others would argue that the populist rhetoric is just that: a political point of view intended to win votes. Any major legislation significantly increasing the level of protectionism or significantly altering tax policy is probably unlikely, especially given the likeliest nominees. Furthermore, the checks and balances within the U.S. government provide some insulation against significant policy changes either way. We don’t believe that incremental changes in trade or tax policy typically have a profound impact on the economy or consumer behavior. However, significant changes in the current policies are a risk, but not something we believe is likely. We look forward to the New Year as we are optimistic that the U.S. economy can weather the challenges in the year ahead. As always there will be peaks and troughs, but we expect the increasing diversity of our economy will provide some moderation to the current trough. 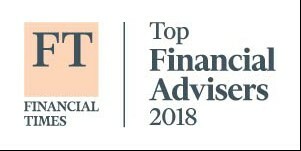 Rest assured that Rollins Financial will be evaluating the investing environment constantly and will make every effort to position our investment accounts to benefit from the situations that are presented this year.